When will be DIXI next episode air date? Is DIXI renewed or cancelled? Where to countdown DIXI air dates? Is DIXI worth watching? 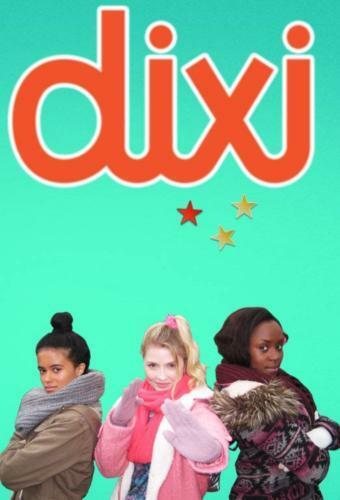 Children's Mystery drama series about a group of friends who use the social networking site, DIXI. Bubs gets himself thrown into the greenhouse, and Billie and Amani trail the latest Shredder suspect - but do they have the right person? It's Bubs last day in the greenhouse - what did he find out? And Shak and Amani finally talk about prom! Bubs says he's solved the mystery - but so does Blake. Who will Billie believe? And who will she end up at prom with? Billie and Bubs rush to prom before the election results are announced... and the identity of the Shredder is finally revealed. DIXI next episode air date provides TVMaze for you. EpisoDate.com is your TV show guide to Countdown DIXI Episode Air Dates and to stay in touch with DIXI next episode Air Date and your others favorite TV Shows. Add the shows you like to a "Watchlist" and let the site take it from there.